Cody Camp had a tremendous impact on this community in the six and a half years he was with us. He was an exceptionally kind, gentle and loving child. His first grade friends would add, very funny. His greatest joy was found in his love of sports. 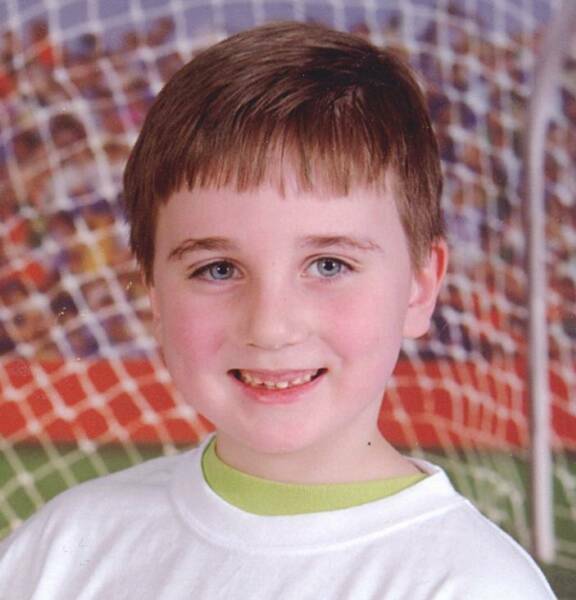 He loved to play tee ball and soccer with his friends. He was also an avid Boston Red Sox fan. He kept a signed autographed picture of legendary Red Sox pitcher, Luis Tiant, by his hospital bedside. Cody cherished his Boston Red Sox official uniform shirt and cap and wore them as much as possible during his stay in the hospital. He was never without his Red Sox cap, it was especially helpful during his bone marrow tests, and his chemotherapy treatments. Cody never complained during these treatments. Cody would say to his family "The Boston Red Sox's are my heros." to which they would reply "If the Boston Red Sox knew you Cody, you would be their hero." Cody was born April 11th, 2000. He was diagnosed with Burkitt's Lymphoma in August, 2006, just after the end of his tee ball season. After a courageous battle, he died on October 13th, 2006. In his final resting place Cody is wearing his Manny Ramirez Boston Red Sox official uniform shirt and Boston Red Sox team cap. Cody never complained during his treatments. Cody would say to his family "The Boston Red Sox's are my heros" to which they would reply "If the Boston Red Sox knew you Cody, you would be their hero."